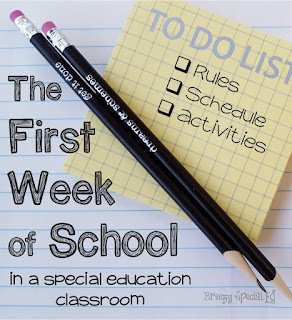 How do you start the first week in a special education class? I've been asked this question a lot lately, and understandably why! I think every teacher, no matter how long they have been teaching, has some sort of nightmares or sleepless nights about the first day/weeks (am I right?!). Here's what I focus on during those first couple of days. Schedule: I try to start with our normal schedule that I have planned so that they get used to the routine and schedule, BUT I keep the activities easy and fun so that they don't get frustrated. 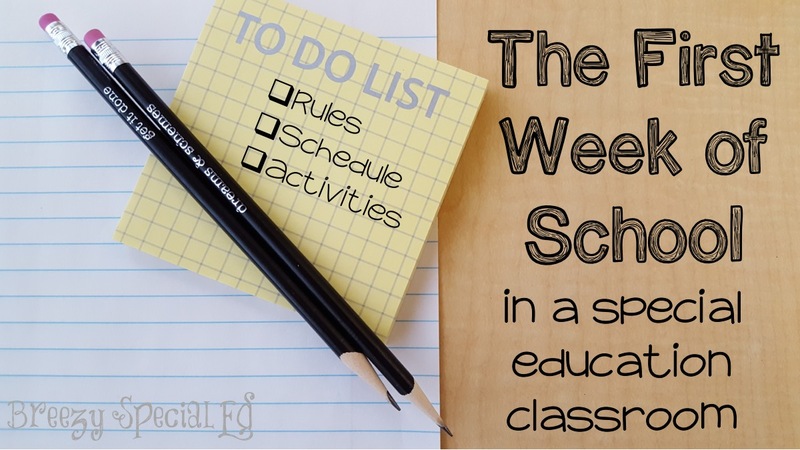 We don't need to work on both academics and learning a new schedule/routine at the same time. We will get to the academic later. It is so important that they learn this routine! This also helps me see where they are at academically so I get an even better idea of where to start. School Scavenger Hunt: Go on a scavenger hunt to help them learn different areas in the school and different places they will go. My colleagues were always really good at creating activities for this! One time we had QR codes that we scanned in different locations (lunchroom, pool, office) that told us where to go next. It was a fun way to learn the school AND use technology. Get to Know You: Even if you have the same students you had last year, ask them what they did over the summer. And I'm sure you have at least one new student, so they all need to take time to get to know each other! I just posted this free activity here with visual questions so all students can participate easily! Take Pictures and Make Class Books: Take pictures of your students in their desk and around the classroom and print these to send them home. Students can use these pictures to show their parents their classroom and talk about school, when starting a discussion might be a struggle usually. Post pictures in the classroom. We use pictures for attendance, and even something little like that helps students feel like they are a truly a part of the class and it is their classroom as well. I love making class book and talk about the important of them here. If you think your students can't help write a book, think again! We love adding pictures to make books our own. This greetings book is customizable for your class and is a fun way to make a class book AND practice greetings at the same time! Classroom Rules: Go over rules and expectations and be firm with them. Review your students' behavior plans if they have them and know that you will probably need to have different expectations for different students and that is OKAY! I keep my classroom rules very simple and to the point, and create additional visual reminders for students as needed. Grab these FREE classroom rules! Morning Routine: I LOVE my morning routine in my classroom. If you know me, you know I'm obsessed with my morning routine and highly recommend every classroom having something predicable and student centered. It helps to start each day off on a great note. We don't do many class wide activities, but we rock these 15 minutes in the morning! Intro Letter and Parent Questionnaire: Be sure to introduce yourself to your students' parents and get to know them as well! Ask for their input about their child, using a survey. I use these back-to-school forms, and have shared it with you so that you can make a copy in order to edit them to include all of your personal info. Hope that helps! And good luck. If your first day or week doesn't go as expected, just know you are not alone! So much of special education is learning to go with the flow, thinking on your feet and learning what your students need. You've got this!! 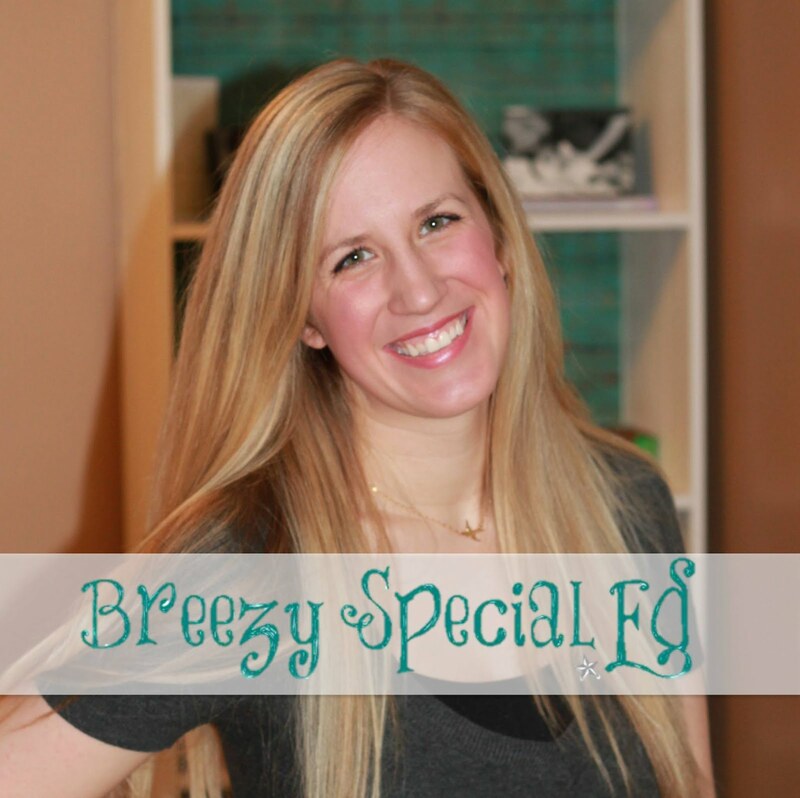 First time special ed teacher here.... so this is very helpful! You're welcome! Feel free to let me know if you have any questions. I'm happy to help! :) Good luck this year! I think you'll LOVE it!! Hi! Is there something wrong with the 'normal schedule' link? I have tried 3 times and it just doesn't want to open. I am experiencing problems with Mozilla Firefox at the moment but nothing like this. hello, First time special ed teacher here. and i love your post so much!! its so helpful and easy to follow through! I am getting ready to start my second year in a 2/3 self-contained MA classroom and your website has me very excited to start the school year!! Thanks for sharing what you use with your students!!! Help! I am switching from being a resource/inclusion teacher to a multi-cat self contained for middle school. I am out of my element! How do I start the year? What are MUST HAVES? what are things I could do? What are resources I can go to? I am in melt-down mode!! New School Year and Exciting Changes!